Maria's Mélange: Teleportation? No Thanks! Can you imagine meeting an alien species for the first time? This scenario fueled my fiction writing from the time I was in elementary school. What about a device in your home that will keep you from ever having to cook again? Sign me up! There are so many things in science fiction I'd love to see, that I even wrote a whole post about it. Others have written their own posts and tweets and status updates about the things they hope we can someday accomplish. One that almost invariably pops up on this lists is teleportation. It sounds great, doesn't it? Being able to instantaneously step from one place to another would certainly make life easier. No more TSA lines. No more drawn-out goodbyes to friends you can only see once a year. No more toll roads or gas stations or midnight drives to Disney. Universe Today had an article in January: "Don’t Tell Bones: Are We One Step Closer to “Beaming Up?” which goes into a lot of the science and math behind it, and links to even more complex information. Just because we may able to figure out the technology doesn't mean that we should run full steam ahead, though. If teleporation becomes reality during my lifetime, I'm going to be one of those old codgers who refuses to participate. Why? I'm "Team McCoy" on this point. 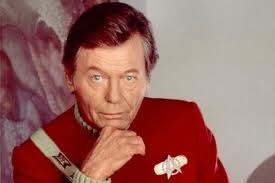 Dr. McCoy: Crazy way to travel, spreading a man's molecules all over the universe. You see, here's my concern. If I step onto that teleporter, the device basically kills me. It takes all of my molecules and separates them. Doesn't that sound like death? 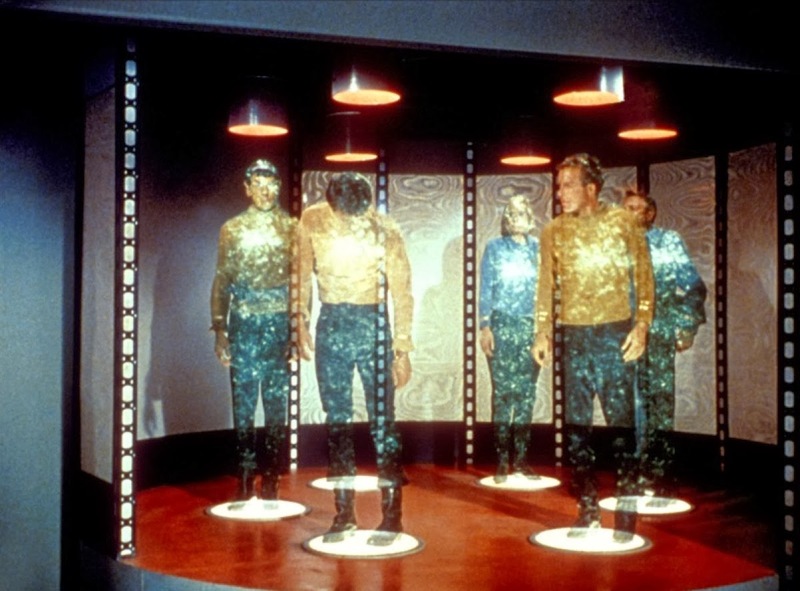 The "me" that steps off of the teleporter in my destination was created from molecules that were THERE. How can those molecules - which may be in a place I have never even been before - really be me? Does the teleporter actually destroy me and create a clone of me in a new location? Is it possible to recapture the personality, drive, and emotions of something so complex as a human being by just pulling some atoms together? Nope. Never gonna happen. I'll happily hop on a plane, pay the tolls on the roads, and leave the long distance space travel to others. Just don't be offended when I'm skeptical about if it is really YOU who comes back from that trip.